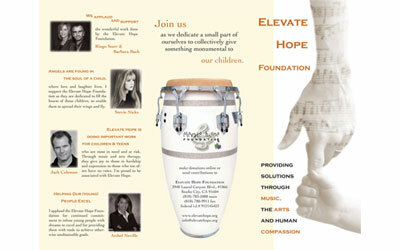 Tri-Fold Brochure designed for Elevate Hope Foundation, a non-profit organization to help abused and abandoned children. This entry was posted in brochure, graphic design by admin-al. Bookmark the permalink.